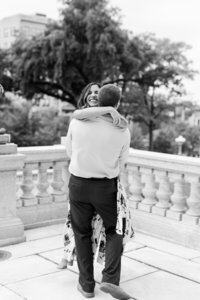 Justen & Adrianna | A Romantic Engagement Session at Saint Francis de Sales Seminary and The Villa Terrace in Milwaukee, Wisconsin. I am so excited to share today’s engagement session with you today for a couple of reasons! The first and most important is that you get to meet Justen and Adrianna! These two are high school sweethearts and have been together since they were sophomores! It is clear that they are the very best of friends and compliment each other so well. Adrianna is super girly, high-energy, and a social butterfly. I would describe Justen as calm, cool, and collected : ) They laugh and are playful and really do bring out the best in one another’s personalities! The second reason I am excited to share this session is because of the locations that Adrianna chose! We began our time at The Saint Francis de Sales Seminary just south of Milwaukee. The grand entrance to the seminary is lined with trees and just off to the side there is a gorgeous weeping willow. 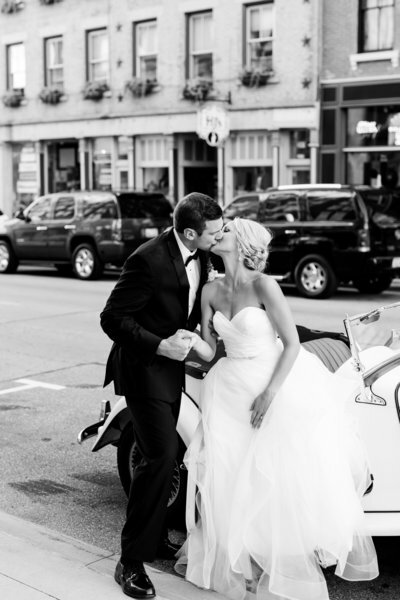 In her pale pink dress and his navy blue suit, these two just popped off such a stunning backdrop! Adrianna’s thought with this spot was that it would perhaps feel as though we were in the South … and I think she nailed it!For our second location, we quick hopped on a plane to Italy ; ) Just kidding, clearly(! 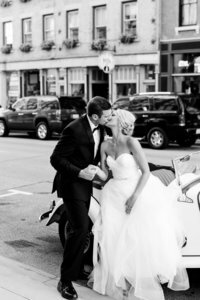 ), but for Justen and Adrianna’s second outfit we shot at the incomparable Villa Terrace on the lake in downtown Milwaukee. This home, built in the 1920’s, was donated to the city by the family in the 80’s and is now an absolutely breathtaking museum. It was the PERFECT backdrop for their engagement photos and Adrianna could not have chosen a more perfect dusty blue gown for the occasion. These two looked amazing and we had SUCH a blast spending the night with them and documenting this exciting season of their lives! I cannot wait to see what these two have up their sleeves for their wedding day — it is surely going to be beautiful!! 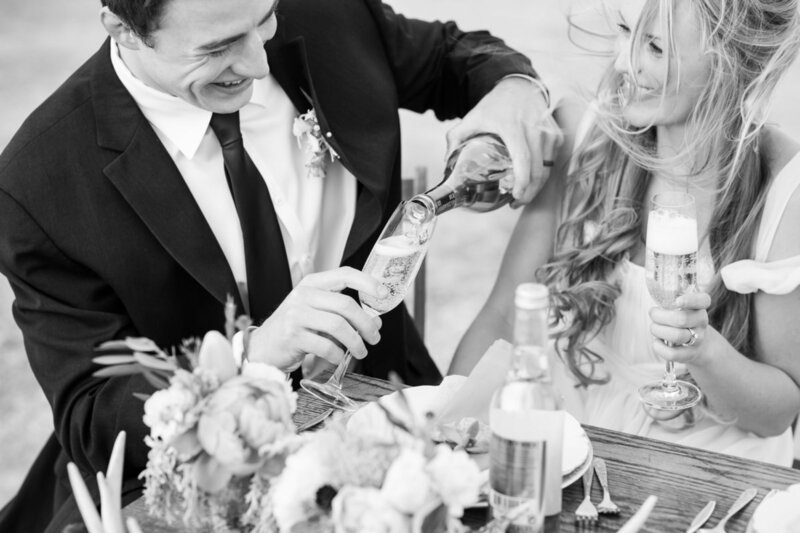 Until then, enjoy some of our favorites from their engagement session! J&A, we love you guys and can’t wait for your big day next summer!!!! 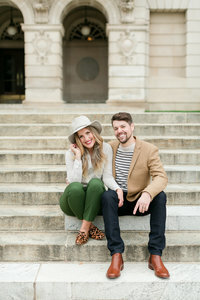 To see more engagement session posts, click here! 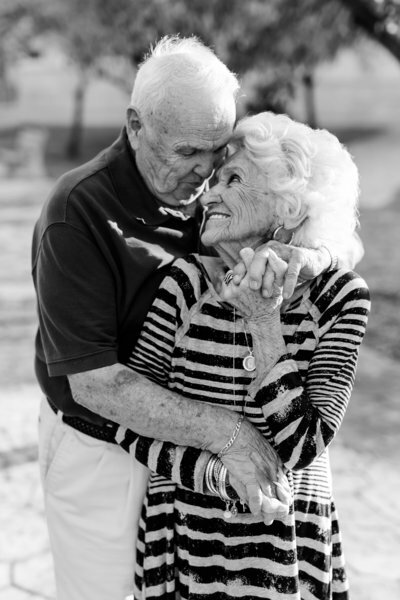 « Happy Anniversary, My Love | Looking Back on Year Four.